This past weekend, I spent almost 4 hours garage sale-ing. This has never been my element (I am sort of afraid to talk to strangers/wander into their garage, I often think other people's junk is gross, etc. ), but a few years ago, I went with a friend who is a pro garage-saler, and had fabulous luck, scoring some super awesome baby items! It was quite encouraging, but then garage sale season ended, and I moved on with my life. But when we moved to Utah this summer, we sold our couch, and our new living room is a totally different shape than the old living room, so it was time for a little redesign that didn't cost thousands of dollars (furniture is expensive!). Enter fall garage sale season. I was ready this time, with a specific list of things to get for our apartment (i.e. a baby booster seat, a coffee table, a lamp, and a chair), and was determined to discover some great finds. I drove by probably 60 garage sales (it was a neighborhood-wide garage sale), and just before I decided to go home, I found a $10 coffee table and a $3 lamp! Hallelujah! They were both great pieces for the price (especially since I had been looking at this $90 Target lamp the day before), and after a minor modification to the coffee table (Adam sawed 3" off the legs), my two newest living room additions are great! Garage sale-ing for the win! After almost 3 weeks, this apartment is really starting to feel like a home. All it needs now is a fresh batch of homemade croissants. And with that brief reference to food, I will segway into the real reason for this post: My weekly menu post! Here are all the delicious things I made in the last week; our menu, to inspire you to make all the seasonal food! You can also check out my instagram for regular cooking inspiration. 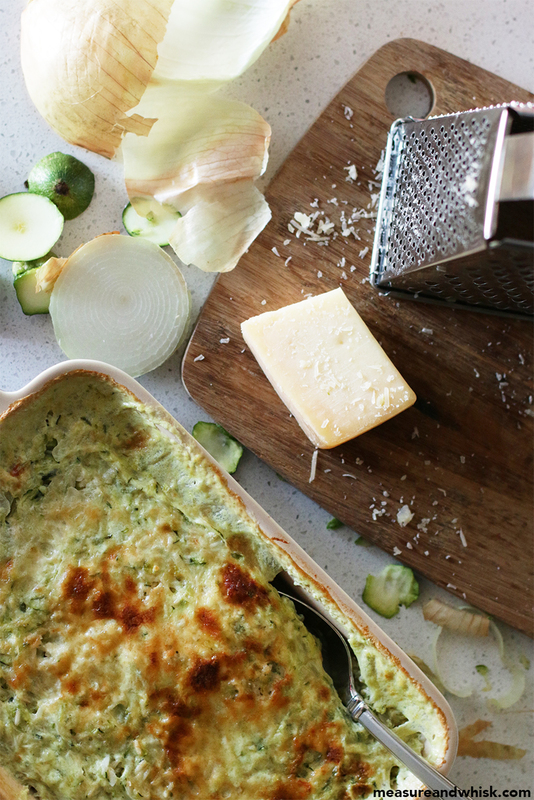 Zucchini Parmesan Gratin - I made this once last year, and it was SO salty. This time, I didn't salt the zucchini when I rung it out, and added salt when serving, and it was delicious! It was kind of messy to make, but the end result was great! Beet Soup - This will forever be one of my favorite soups. I served it with a whole wheat bread. 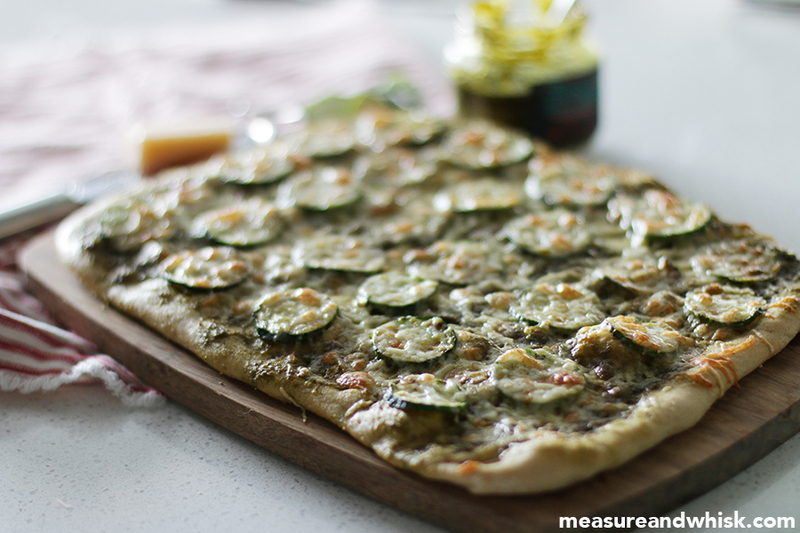 Zucchini Parmesan Pizza - I love this one, too. 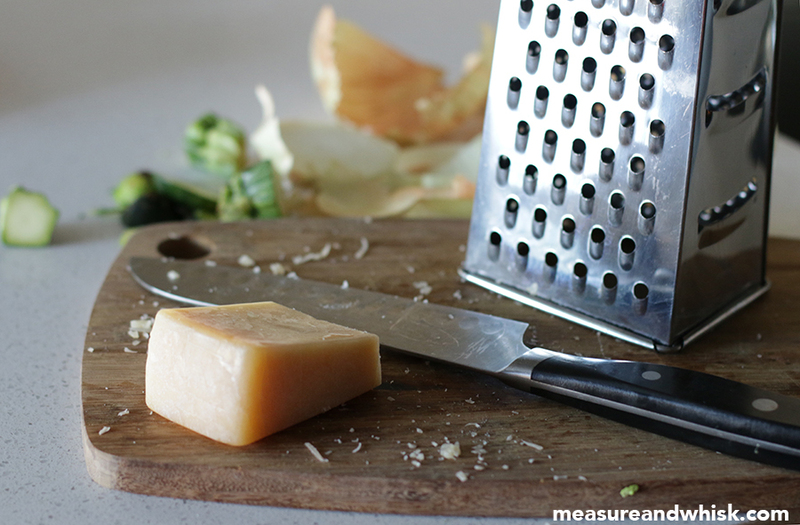 Parmesan and zucchini go great together, obviously! 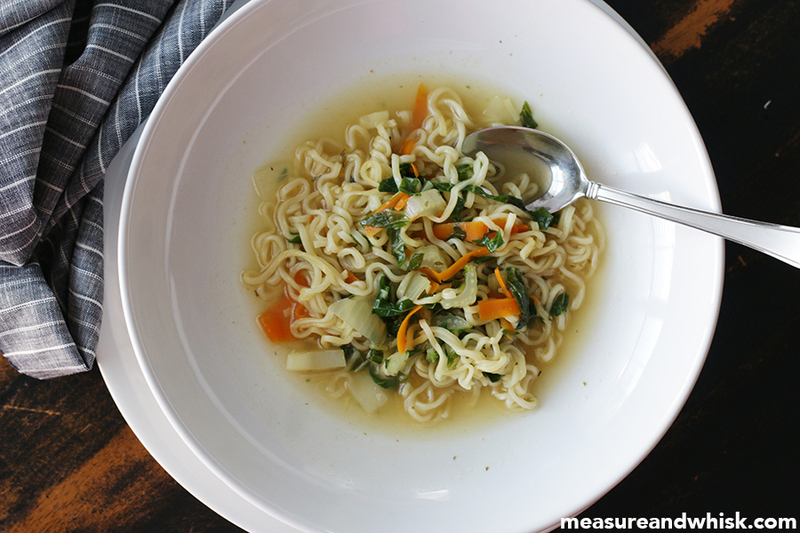 Bok Choy Ramen - I don't really like cooked greens, so I was pretty wary about this recipe, but it was delicious! I used the super cheap ramen noodles (like the 16 cent package), and they were fine. I also used water and added my own spices to make it taste better, and then I added carrot strips. It was really good, and even the baby loved it. Curry with Red Pepper and Snow Peas (similar to this recipe) - This is still a work in progress, but this week's edition was better than last week's. Butternut Squash Bowls with Black Beans and Rice (similar idea to this) - This was lunch one day, and it was totally delicious. Just butternut squash and onions roasted in the oven with garlic and cumin, topped combined with black beans, rice and ranch dressing. Squash and Chickpea Salad - This was very good! I toasted the chickpeas, left out the cilantro (oops!) and added a drizzle of honey.